WesternTaste.com: Article: What Beer to have for Christmas? Article: What Beer to have for Christmas? The Ayinger Brewery (pronounced "eye-ing-gr") is a medium sized German brewery from 1876 located in Aying, Bavaria, about 25 km from Munich. 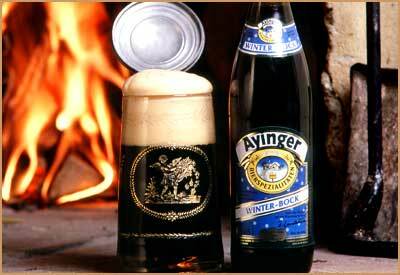 Ayinger beers have been frequent award winners in international beer competitions. This year they have a dark Dobbelbock Christmas ale. It has large, malty nuanced scent. It has a creamy head of tight bubbles contrasting beautifully with its profound dark robe. There is a wonderful and complex balance between the various malts, the alcohol and the subtle hops. Although it is strong, it is not overpowering. Despite its richness, it has a faintly smoky dryness in the finish. Nils Oscar brewery in Nyköping is Swedens main craft brewery and it always produces a different dark Christmas beer every year. This year’s edition is very good and pours brown to black with a medium tan head. Aroma is Christmas spices, smoke, a touch of pepper, roasted malt and coffee but also apricots and cloves. Taste is to the sweet side but with a soft bitterness to balance it up. Smoke is present here as well but not as much as in the nose, body is medium. You can also taste some soy sauce, “kavring” and chocolate. Since 1994 the micro brewery Shipyard Brewing Company has been brewing fine quality products in Portland, Oregon, USA. All their beer is hand crafted from recipes developed by master brewer Alan Pugsley and they are the 19th largest craft brewery and 28th largest brewery in the US. 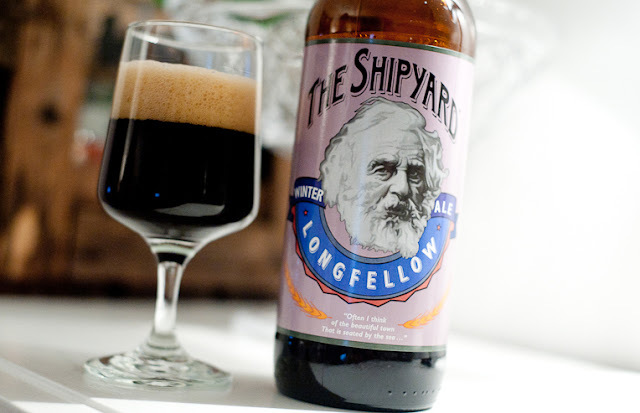 Shipyards Christmas beer is named for the poet Longfellow from Portland. It is a quite light but it has a malty scent with hints of bitter orange, chocolate, “vörtbröd” and dried fruit. The taste is quite interesting with a malty bitterness balanced with licorice, dried fruit and dark syrup. 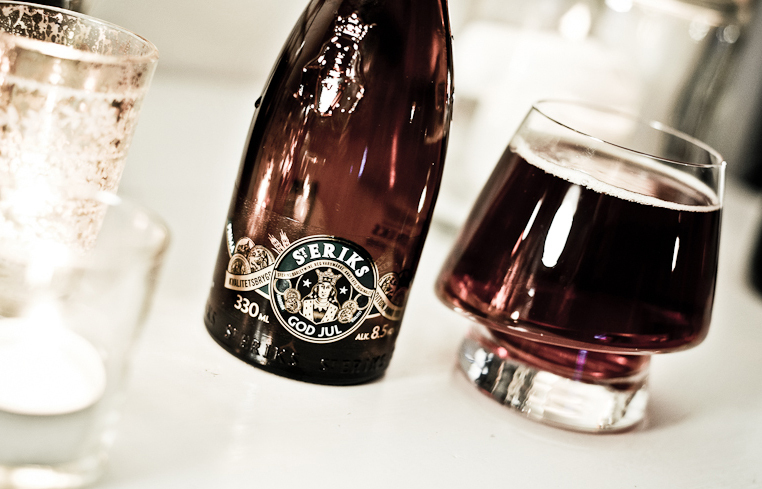 S:t Eriks was one of Swedens premier breweries and a purveyor to the king but it was closed down in 1929. Recently Galatea Sprits acquired the brand and Three Towns Brewery now produces S:t Eriks again. All their beers are very praiseworthy and the Christmas Barley Wine is no exception. It is a dark red/brown liquid with small to medium off-white head. Aroma is malty and hoppy with notes of burnt caramel, grapefruit, toffee, citrus and biscuits. Taste is also malty and toasty. It is overall light to medium sweet and medium bitter with some light smoke and good carbonation. It is an OK Barley wine but nothing spectacular. But if you take the price into account it suddenly becomes spectacular! 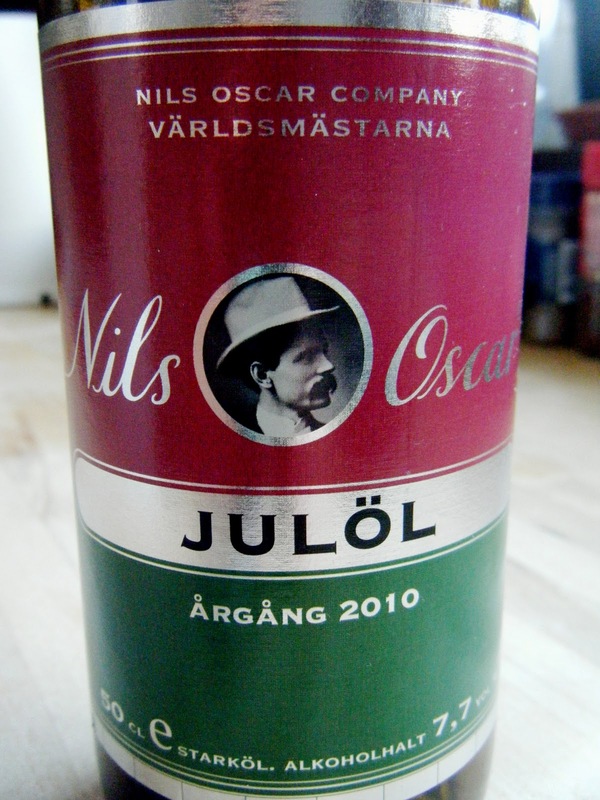 All of the beers above go great with the Swedish “julbord”. 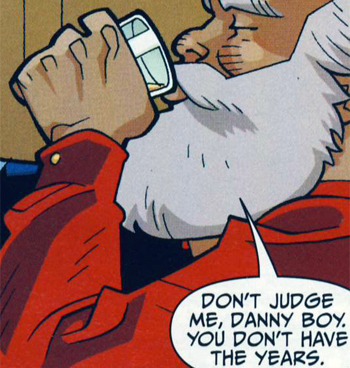 Have a Merry Christmas and be sure to drink and eat good!